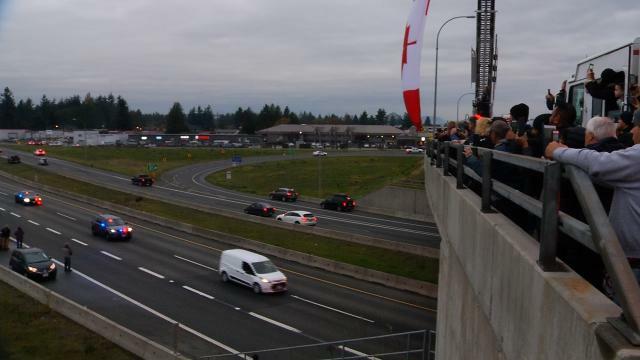 Hundreds gathered on Abbotsford overpasses to pay tribute to fallen officer. Nov. 9, 2017 3:22 p.m. The motorcade carrying the body of Const. John Davidson from Vancouver General Hospital to Abbotsford has arrived in Abbotsford. The motorcade proceeded along Highway 1. Hundreds of people – including police, ambulance and fire personnel – gathered at overpasses along the route and in Abbotsford. Davidson’s family travelled in the motorcade from VGH, then went ahead and watched the procession from atop a firetruck on the McCallum Road overpass. At Clearbrook Road, firefighters lifted a Canadian flag above the overpass. 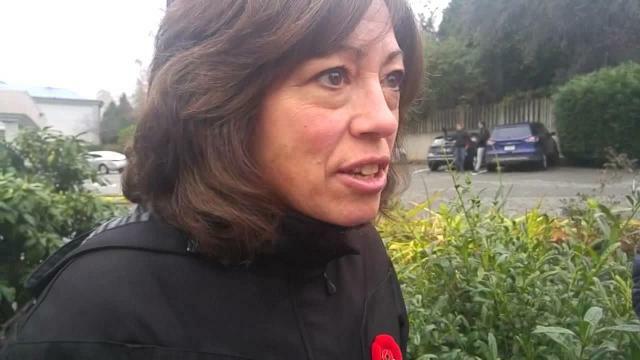 Earlier today, it was announced that Davidson’s full police-honours funeral will be held Nov. 19 at Abbotsford Centre. More details are expected to be released later. 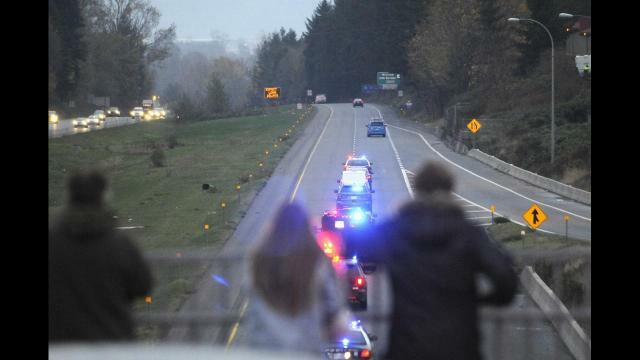 Below: Photos and video of the motorcade as it arrives in Abbotsford.